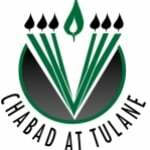 Chabad at TulaneWhere every Jew is family! Simchat Torah is the day in which the annual reading of the Torah is concluded. In celebration of this event, we remove all of the Torahs from the ark, and dance the night away with them. Simchat Torah at Chabad House is a night of boundless joy and energy, where Jews from all walks of life come together to celebrate our common heritage - the Torah. The Simchat Torah celebration begins at 8:00PM on Monday night. The celebration usually lasts until around 10:00PM. Stop by Chabad for Simchat Torah and find out what all the hype is about! Sunday, September 30 - Services at 6:00 pm followed by buffet dinner and dancing with the Torah. Tuesday October 2 - Celebrate the day on which we conclude and begin anew the annual Torah reading cycle.This event will be taking place at the local Chabad house at 7037 Freret st. and begins at 10:00 AM. plenty of food and drinks will be served.